Welcome to another Handmade Monday! ... more cards for Craftseller magazine. More Christmas cards, to be precise. I think being able to add texture and depth is one of the really great things about handmade cards - it definitely separates the finished product from mass-produced and creates a much more luxurious feel. Plus it's so much fun to do! Seriously - aren't those Craftseller papers just gorgeous? Your layered card is in my favourite colours! Another job well done. Yes they do look nice papers - and nice card you have made! You will also be well ahead now when making your own cards to send! Ah, no, not string - it's the torn edge of the paper you can see! It does look like string now you mention it!! 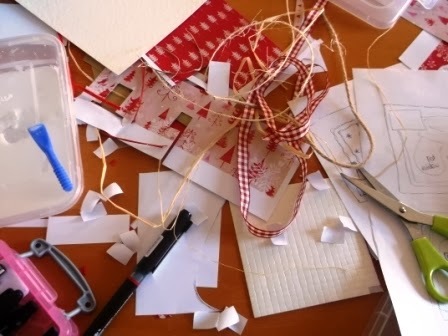 Funny, my blog this week is about the free papers that come with Craftseller and other magazines! Your card looks great, can't wait to see the finished article. They look fantasic! I love the free papers, so many uses for them! 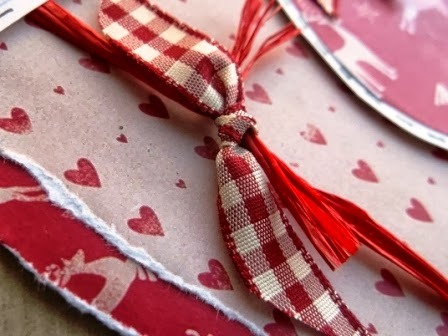 Handmade cards are always more personal than mass produced, I love the torn paper and ribbon combination. That's a very pretty card. I love getting handmade cards. They have so much more thought put into them. 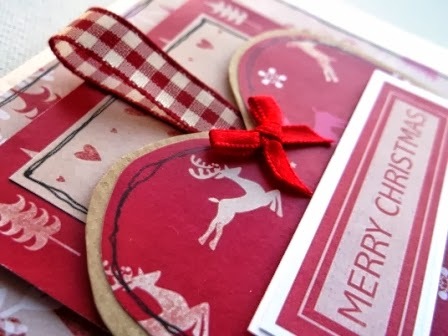 the papers are lovely and your card is gorgeous - it is so nice to add our own touches to cards. that's what makes handmade so special. Hope you have a good week. These look great. I can't wait to get this copy of Craftseller so I get these gorgeous papers and can see the full pics of your cards. I think I may have to make some! Your gift cards are looking so pretty! Thanks for the great linky party. I'm used to an unruly mess. My work areas seem to be like that all the time. The little touches and details are definitely what makes a card special.